Oliver: Our good fortune allowed us to feel a sadness our parents didn’t have time for. We might bounce along through life thinking that we have certain things figured out, only life has an amusing way of reminding us that we are constantly starting from scratch. 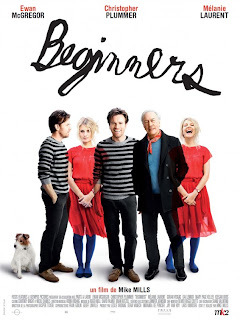 Mike Mills’ second film, BEGINNERS, explores this bewildering facet of life with great brilliance and charm. Vaguely based on his own relationship with his father, Mills examines love in its many forms and applies what he has learned to the patterns in his own life. Ewan McGregor plays Oliver, a version of the director on screen, and exhibits a firm emotional understanding of the journey he is set upon when his 75-year-old father, Hal (Christopher Plummer), comes out of the closet. It is as though Hal is reborn and seeing his life for the first time, a sentiment that exudes from Plummer with great sensitivity and depth. Playing witness to this in turn informs Oliver’s new relationship with Anna (Melanie Laurent). BEGINNERS may be a very personal story but its message of acceptance and closeness is universal, making it entirely irresistible. I love this movie. One of the best of the year for me. 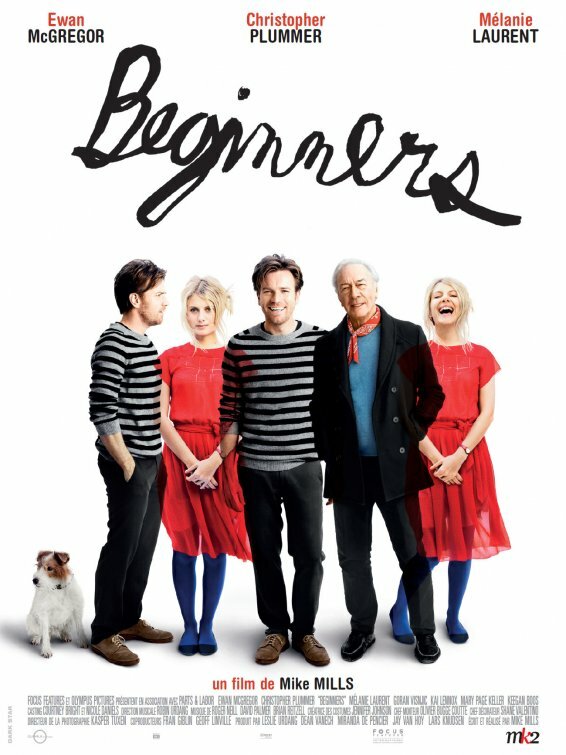 At first I was worried that it was just going to be another hip indie movie ala Thumbsucker but by the end I was fully sucked into its wonderfulness. I couldn’t agree more. It was an unexpected delight and will certainly figure amongst my favourite films of 2011 as well. I hope many people find this film. Be sure to catch my interview with Mike Mills. One of the more interesting chats I’ve had for sure. i loved the movie ..i felt christopher plummer was amazing in the movie …he need an oscar for this movie!!! I think Mr. Plummer has a pretty good shot of snagging a nod this year for sure. Not so sure about the win but a nomination is likely in his cards, I think. One of those films that may get lost if you queue it up in a long list, but when you put it in perspective, it stands out, and is pretty rewarding if you are a little forgiving. Or in other words, I liked it.